Please select the corresponding links below for a class schedule and additional information. Acro – A blend of dance technique and precision Acrobatic elements. Acro is great for improving a dancers strength, flexibility, endurance and agility. Students will learn many tricks, stunts, contortion and balances. Enrollment in Ballet and Jazz is strongly recommended. Tech is a requirement for this class. Adult Classes – We offer a variety of adult level classes in the following genres: Aerial Silks Dance, Aerial Yoga Fitness, Ballet, Jazz and Tap. Aerial Silks Dance – Using an Aerial hammock (levels 2-3) or free silks (levels 4-5), students will explore the fundamental tricks and skills used in this free-flowing and exciting circus art form. Aerial Yoga Fitness – An adult fitness class that draws inspiration from Pilates, Yoga, Ballet, and suspension training such as TRX combines it all with the conditioning of Aerial Arts. All levels can participate! We work on strengthening along with stretching while using the soft fabric hammocks for support. Ballet – A classical dance form characterized by grace, poise and precision of movement. 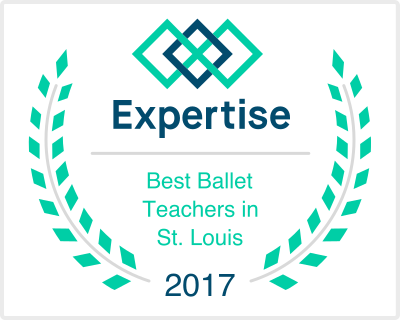 Students will cover Ballet positions, technique, and various exercises. Ballet is the foundation of all dance forms. Ballroom and Latin Dance – Learn classic-style partner dances such as foxtrot and tango, as well as Latin-style dances such as salsa and samba. Each dancer will learn both roles of leader and follower, proper technique, rhythm, and creative styling. Ballroom and Latin Dance is offered for students ages 8+. Adult Ballroom Series is offered periodically throughout the year. Cheer – This physically demanding class will focus on the many aspects of cheerleading: stunts, jumps, cheers, chants, dance & tumbling! Each class will offer numerous drills to make jumps more explosive, improve body control, and increase flexibility. Cheerleaders will learn how to safely execute challenging stunting drills and skills. Cheerleaders will also be given appropriate plyometrics & conditioning drills to continue to stay in shape and reach maximum potential. Enrollment in a Hip Hop and/or a Tumbling class is strongly recommended. Contemporary/Modern – A technique based on classical Ballet and Jazz that moves beyond by using all levels of space with a complete range of movement and expression. Contemporary/Modern allows dancers to explore storytelling through movement and technique. Enrollment in a Ballet and/or Jazz class is strongly recommended. Dance Team Prep – Kick, leap and turn! This class prepares students considering trying out for their school dance team. Students will increase strength and flexibility while developing a strong technique. The importance of executing each move with power and precision will be emphasized. In addition, students will learn fast-paced choreography, kick lines, and formation changes. Enrollment in Ballet, Jazz and/or Hip Hop is strongly recommended. Hip-Hop – A great class for girls and boys that like to jump, spin and freestyle dance. Students will learn fun age-appropriate choreography to familiar Hip Hop music. Jazz – A technical dance form full of energy, variety, and vitality. It draws inspiration from a wide range of music including pop, soul and funk. Enrollment in a Ballet class is strongly recommended. Ninja – A Crossfit and Tumbling class for boys, that focuses on the spins, kicks, rolls, jumps, and flips of the true ninja! This high energy class engages students through many physical skills and drills with a creative twist. Students also learn age appropriate choreography and Tumbling skills. Preschool Creative – Introduces students to rhythm, movement, and dance. Focusing mostly on exploring Pre-Ballet skills at an age appropriate level. Students do not use the Ballet barre at this level. Preschool Gymnastics – An introductory class for students who love to jump, roll, climb, and hang! Students will be trained to use a variety of age-appropriate Gymnastics’ equipment and learn basic body positions for Gymnastics’ skills. Preschool Hip Hop – This high-energy dance class introduces students to movement while dancing to all the latest songs. The class enhances socialization, motor skills, coordination and flexibility. Dancers are encouraged to bring their individuality and unique personality to this class. Special Needs Music & Movement, Teen/Adult – Dance class focuses on strengthening the individual learner physically, socially, and artistically through dance as an art-form. The specific needs of the individual are met through hands-on learning with props, teamwork exercises, and individual movement explorations. Special Needs Music & Movement, Youth – Dance class offers a unique opportunity for children and preteens to engage with peers in an exciting, interactive environment. This class is a positive way to get students involved with dance at an early age, as well as assist with overcoming physical and social obstacles inherent of multiple disabilities. Tap – A dance form in which rhythm is sounded out by the clicking taps on dancer’s heels and toes to music. Technique/Tech – A class to teach the technical aspects necessary for a variety of dance classes. Students will learn dance technique to build a stronger foundation for their other dance classes. This is a required class for any Acro dancer in Level 2+. Tots on the Move – An independent introduction to dance for toddlers ages 24 – 36 months. Students will explore dance through movement, music and creativity while developing gross motor skills. Tumbling – A form of Gymnastics which is performed without the assistance of props. Students will work on tumbling skills and drills across floor. Students will also focus on conditioning, which is necessary in order to safely execute intermediate and advanced tumbling progressions. This class is recommended for Acro & Cheer students. Yoga – This class is designed to help students increase flexibility and strength while incorporating mindfulness in an interactive approach. Mindfulness is a useful tool for calming the body. In addition, students will work on improving posture while increasing flexibility and range of motion.